The Montgomery Soil & Water Conservation District (SWCD) Pollinator Contest is now accepting entries. 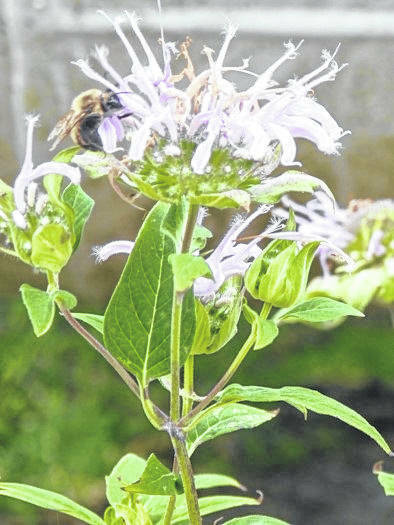 BROOKVILLE — Show your Pollinator Pride by entering a Montgomery Soil & Water Conservation District (SWCD) Pollinator Contest. The contest is open to students ages 2 – 5 and 6 – 9, enter the Coloring Contest. The Essay Contest is for ages 10 – 12 and 13-15. Sponsors are Boone’s Power Equipment, Spring Run Farm and Zimmer Tractor and are appreciated for the donation of contest prizes, including farming and pollinator related books and toys. Coloring contest entries may be completed with a variety of media. Essays for the contest must be 500 words or less. Winners will be announced in the Montgomery SWCD Spring 2019 newsletter. Entries may be either hand delivered to the Montgomery SWCD office, 10025 Amity Road, Brookville, Ohio, 45309 or postmarked by November 26, 2018. The Board of Supervisors will evaluate all entries. All decisions of the judges are final. For full contest rules and details, the essay prompt, and the coloring page, visit www.montgomeryswcd.org/PollinatorContests.pdf or stop by the office. Call the Kristen Lauer, Education/Information Specialist, at 937-854-7646 ext 0521 or email her at LauerK@mcohio.org with any questions.